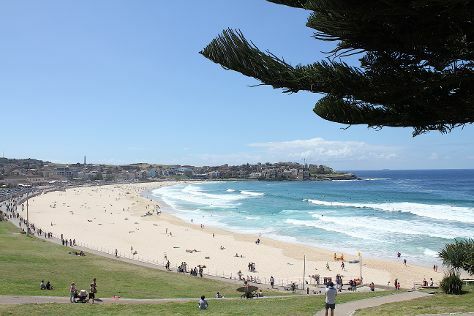 Kids will enjoy Bondi Beach and Powerhouse Museum. Take a break from Sydney with a short trip to Shelly Beach in Manly, about 36 minutes away. Next up on the itinerary: wander the streets of The Rocks, catch a live performance at Sydney Opera House, examine the collection at Australian National Maritime Museum, and don't miss a visit to Sydney Harbour Bridge. For more things to do, maps, where to stay, and other tourist information, refer to the Sydney route planning app . Kuala Lumpur, Malaysia to Sydney is an approximately 11-hour flight. The time zone difference when traveling from Kuala Lumpur to Sydney is 2 hours. Traveling from Kuala Lumpur in May, expect Sydney to be much colder, temps between 24°C and 14°C. Wrap up your sightseeing by early afternoon on the 4th (Tue) to allow enough time to travel back home.